When we rented our first apartment I remember being excited to have our very own “front” door to decorate. If you know me in person, you have probably noticed how our front door is still never bare. I even had 1 blogger call me the “wreath queen”. 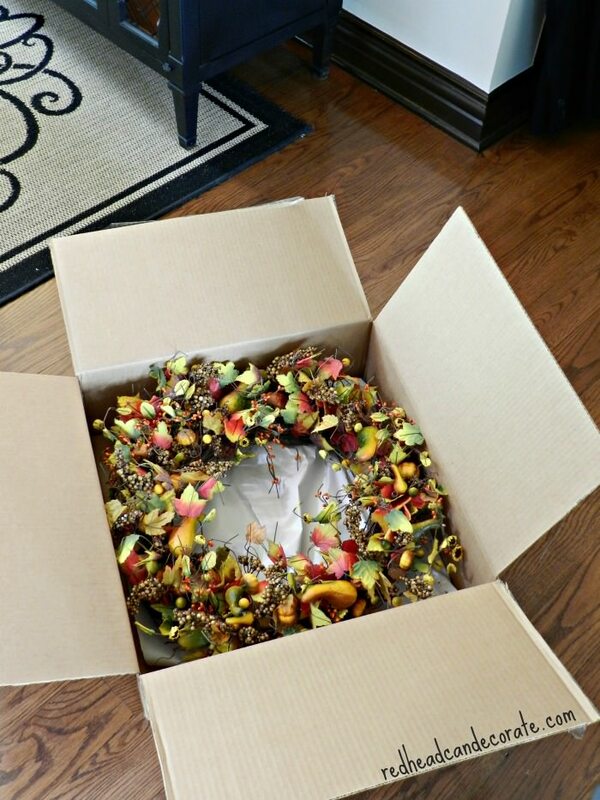 So, when I was contacted by “The Wreath Depot” last month, I was instantly intrigued. They asked if I would be interested in reviewing one of their wreaths. I visited their website, and was thrilled at the large selection. From Fall, to Halloween, to Christmas. They had several wreaths for every season and occasion. With Fall quickly approaching, I selected the “Maple Leaf Fall Silk Wreath”. When the package arrived, I couldn’t wait to hang it. The colors and quality of the hand made craftsmanship was beautiful. The Wreath Depot is in their 24th year of delivering hand crafted real, dried flower, and silk wreath arrangements. They offer a 100% satisfaction guarantee, and free shipping. They also share a “wreath guide” on their website that actually taught me how to choose the best wreath for our front door. With Michigan weather, that is very important. These people know what they are doing, folks. To top it all off, right now they are having a 30% off sale. so you can have one on your front door too. Christmas is coming, so this is perfect timing. *all opinions are my own and I completely recommend “The Wreath Depot”. Fresh Berry Christmas Wreath is my favorite! My favorite is “Maple Leaf Fall Silk Wreath”. Love the colors. 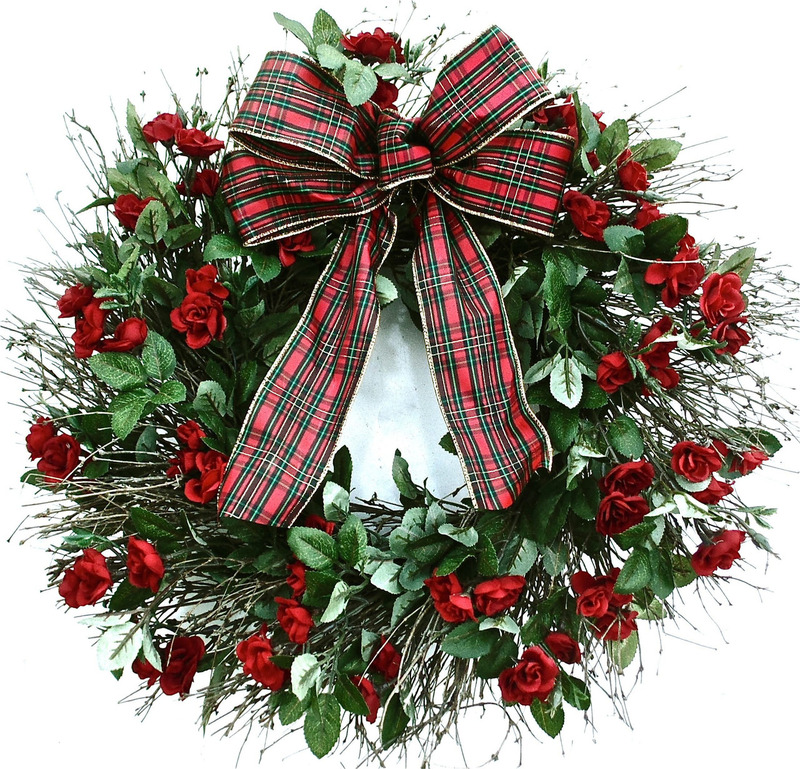 LOVE the holiday silk rose wreath! I love the Mayflower wreath, actually all of them are great, but I am looking for a great fall one!!! I love the fresh berry Christmas wreath. Beautiful site and beautiful wreaths! 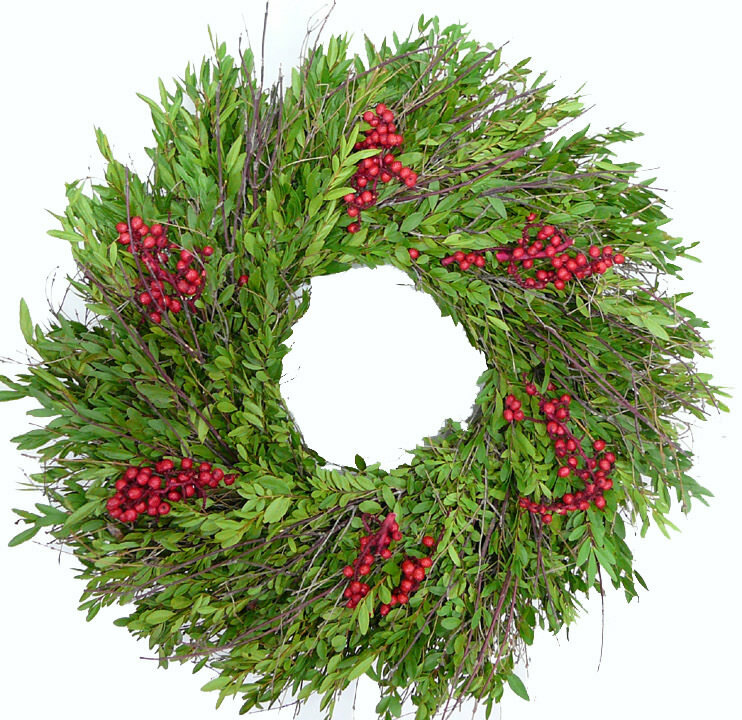 I love the fresh berry wreath…very simple but elegant. Wow these wreaths from the Wreath Depot are gorgeous! I love the one you chose Julie – so pretty! I love greeting my guests and friends at the front door with a stylish welcoming wreath! Beautiful wreaths. Love the tulip one! I can see my front door from the living room. So I could enjoy it inside and out. Thank you for showcasing these beautiful wreaths. I love them all! I love the Fall Forsythia wreath. The Mayflower Fall Silk Wreath is breathtaking – and my favorite! Beautiful wreaths!! Would love to put the Maple Leaf Fall Silk Wreath on our front door!! Hard to choose a favorite..all are winners!! These are beautiful! I would love to win one! I love all of them. Christmas is on its way. All of the wreaths are so beautiful it is hard to choose just one!! 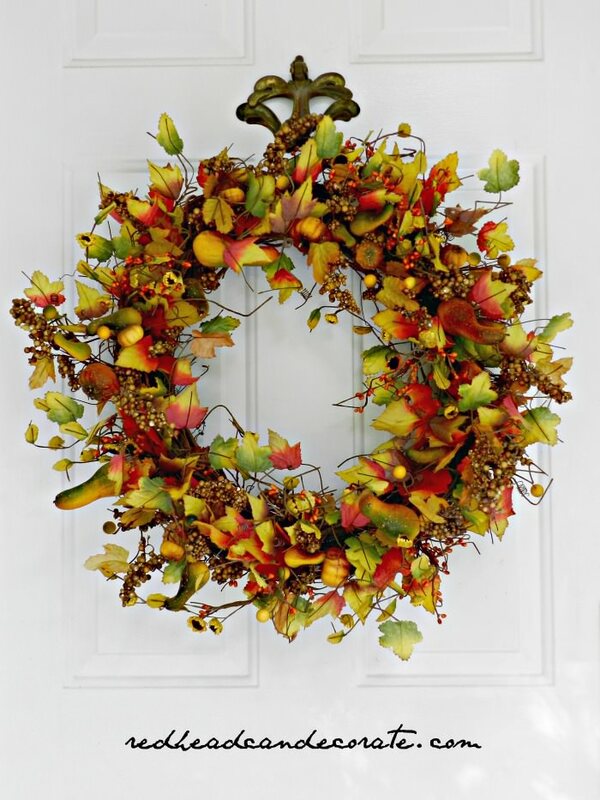 I would love to have the Cranberry Silk Door Wreath and I would hang it above our mantle…. Since fall s my favorite time of the year I love the fall wreath! I would gorgeous on my front door! Madeleine’ s Holiday Rose Silk wreath is right up my alley. I would hang it in my entry. I love the Fresh Christmas Berry wreath – such a pretty alternative to the standard fir and cedar wreath! Madeline’s silk rose wreath would be perfect over our mantel. 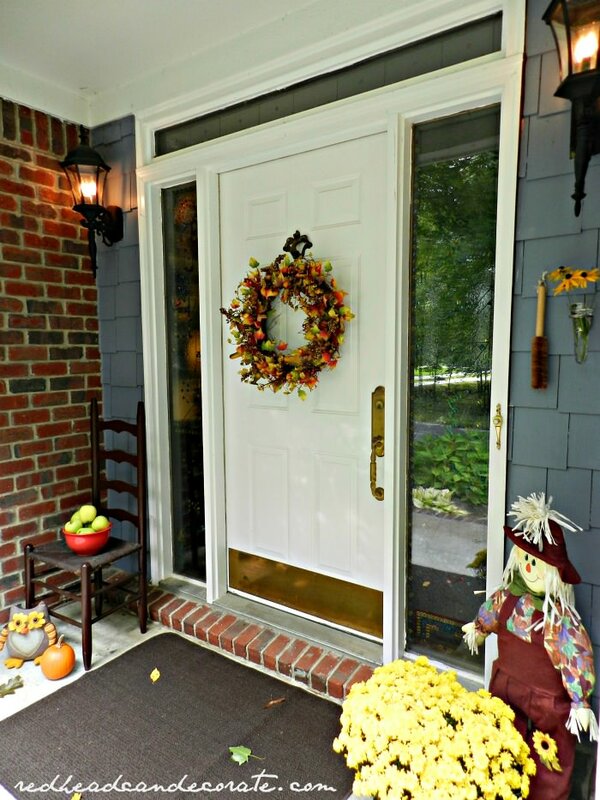 I love the Mayflower fall wreath for my front door inside! Thank you. I have so many holiday wreaths but not many for Spring. I LOVE that Tulip Riviera wreath!! Thanks for the giveaway. That Maple Leaf wreath is GORGEOUS! Madeleines Holiday Silk Rose Wreath would be beautiful on my front door. I think this will be a new favorite website for me! I would normally say a Christmas wreath, but that pink tulip wreath is gorgeous!! Wow very nice wreaths, would loook gorgeous on my door. 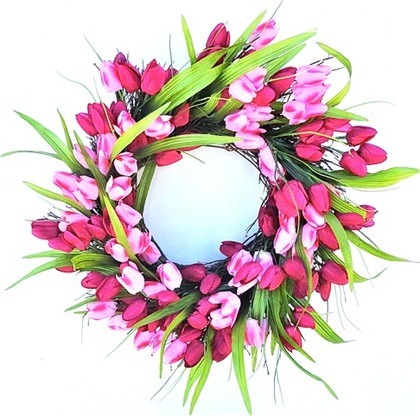 Pink tulip wreath is my fav, and it would go on my front door for spring! My favorite is the Lillians Halloween Silk Door Wreath! I would hang it on my front door! My favorite is the Spicy Cinnamon Apple Holiday Wreath and I’d hang it on the front door. Love the Heartland dried wreath best, but its really hard to choose just one! Oh How beautiful Julie. I absolutely adore their wreaths. They are gorgeous and I would love to have one of my own. I love the yellow tulip wreaths. And the fall wreaths. And the purple eucalyptus one from this morning. And the Christmas wreaths. And the summer wreaths. Oh, heck! I love them all! Great giveaway and you chose a pretty wreath for your front door. I like the Christmas Berry wreath and would probably hang it on my front door. They’re all so pretty. Don’t know how I’d ever chose just one! Oh! I just love wreaths! These are gorgeous. Thank you for the giveaway! My favorite is Lillians Halloween Silk Door Wreath. I would hang it on my front door. They’re all so beautiful! I’d most likely choose the same fall one you have and hang it on our front door!! Thanks for the chance on winning one!! Your wreaths are just beautiful! There is mentioned a couple of wreaths not shown, the yellow tulip wreath and the blue eucalyptus wreath. 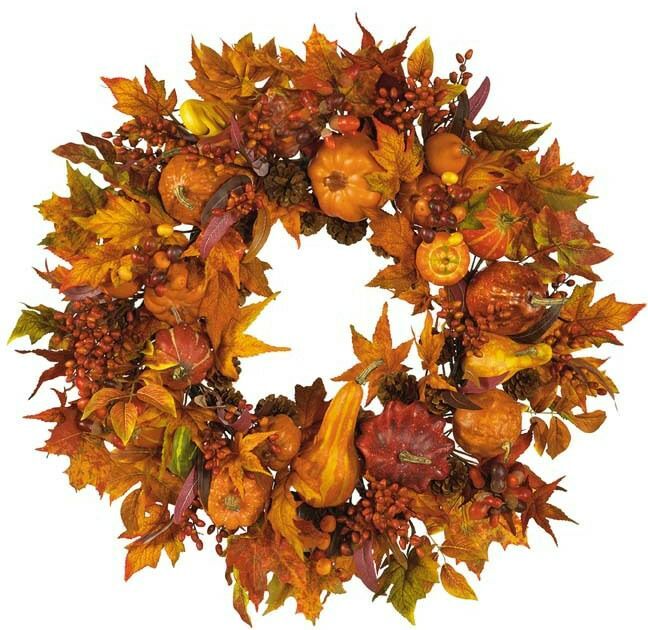 I would have to choose the Mayflower fall wreath. Thank you so much for allowing us to for the opportunity to choose. I love your blog, although I am a very recent follower. Happy Holidays! Love your fall wreath. Also love the fresh berry wreath for Xmas. Beautiful wreaths! My favorite is the tulip wreath!!! I would love to hang it on my front door!!! The wreaths are beautiful! My favorites are the two fall ones: the Maple Leaf and the Mayflower one. I love them all but I think my favorite is Mayflower silk wreathe. Thanks for the contest. LOVE them all but the Holiday Silk Rose Wreath I think is beautiful and I have just the right spot for it! We just moved in to this house a little over a year ago and have been slowly turning it into a home. These wreathes are gorgeous and sure add a touch of warmth and welcome to any home. Good Luck to all who participate! The Belmont silk is beautiful with the red geraniums. It would look gorgeous on my porch. Julie, thank you! I love the Fresh Berry Weath. It would look great on our front door. My husband decorates huge for Christmas, this would add the perfect touch! All the wreaths are lovely! I love the Mayflower or the Fresh Berry Wreath! Would love to win! ! Thank you for doing the giveaway! I love the fresh berry wreath, they are all beautiful! What a great giveaway! I love the wreath you chose! The maple leaf is my favorite though they are all beautiful. My HS friend is so dang talented! Even my little Zoie loves to look at all the cool stuff you make, she wants to do ALL OF IT! She likes to be in charge of the seasonal wreaths on the front door, the snowball one would make her go crazy!! I was reading your response, and I’m thinking why is this lady telling me about her HS friend, then it clicks when I see Zoie’s name! lol Sounds like you have a little decorator in the family, Kristi! So happy you entered…good luck!!! I hope I win the wreath! Too many great ones to choose from! I love the Fresh berry Christmas wreath! I love a beautiful wreath on the front door inside or out to greet my guests. I really like the All Seasons Adirondack Silk Door Wreath 22 inch for our front door.